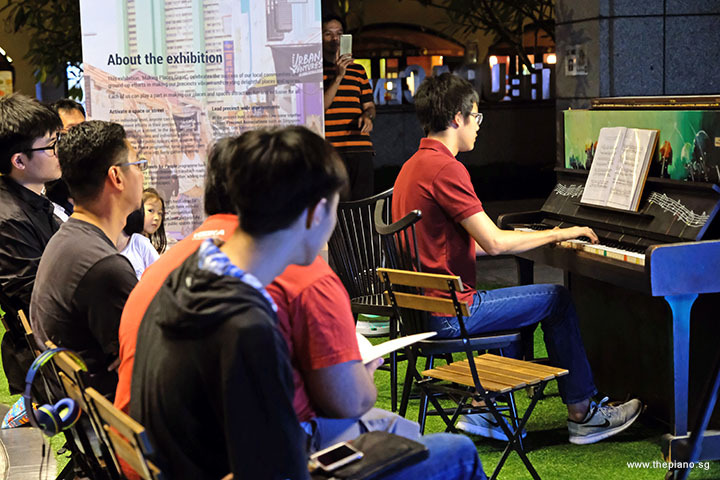 ThePiano.SG aims to bring together a community of piano lovers. 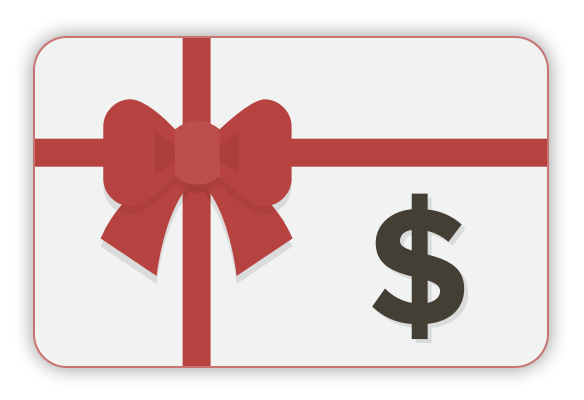 Whether you are a pianist or a piano music lover, you are welcome to join the community. 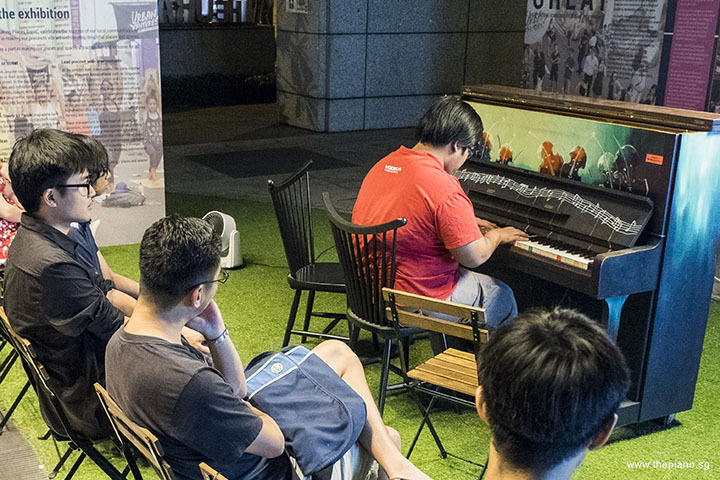 One of the platforms that connects piano lovers is Pianovers Meetups, a weekly Sunday evening gathering at The URA Centre. 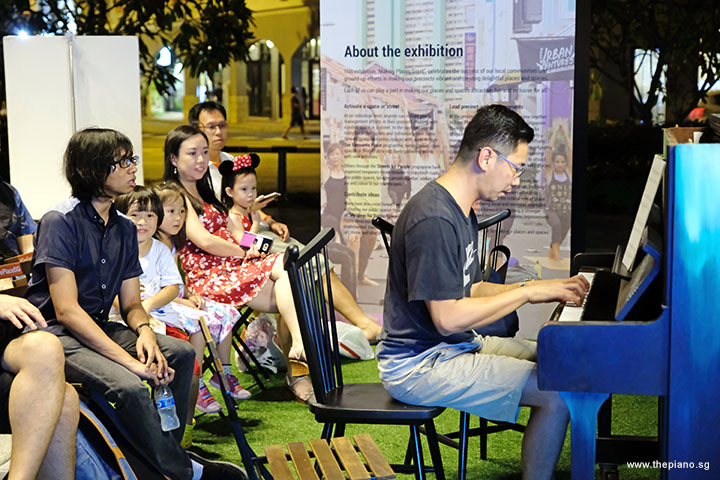 Here, two refurbished upright pianos, placed here as part of a community project, Play It Forward Singapore, greet piano enthusiasts. 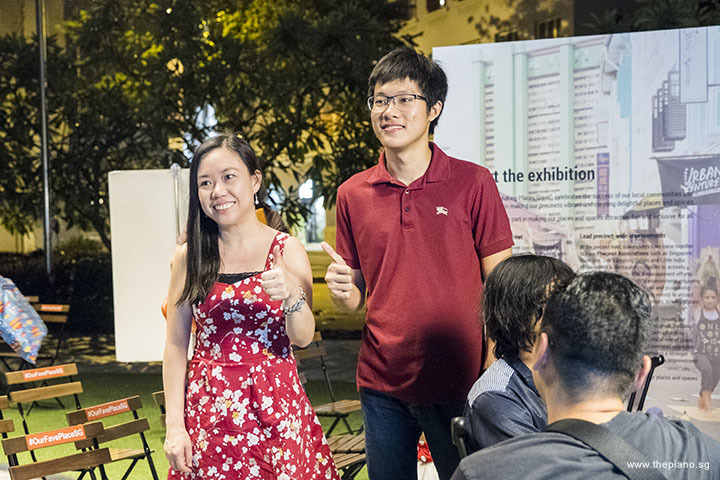 Pianovers Meetups started in July 2016 and since then, a group of piano lovers – affectionately called Pianovers™ – has been meeting weekly to play, jam and network. 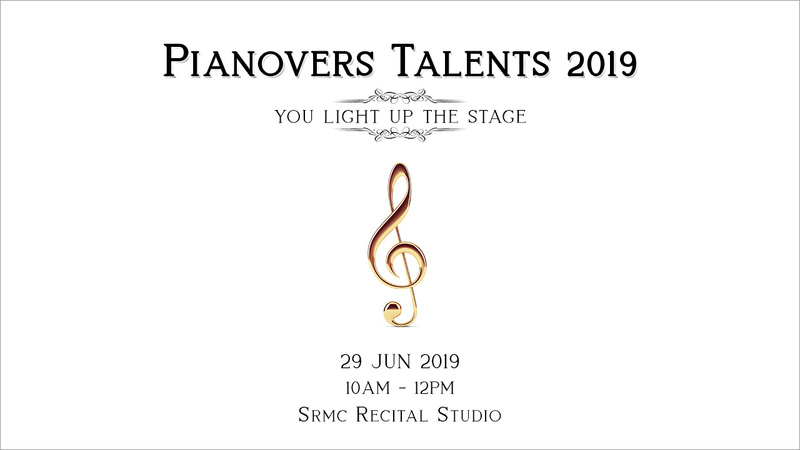 Pianovers Meetup usually starts at 6:30pm and the evening comprises two segments: The Mini-Recital, where pre-registered members play the piano in front of attendees in a predetermined order, and the Open Segment, in which all present are free to jam on the pianos and network. 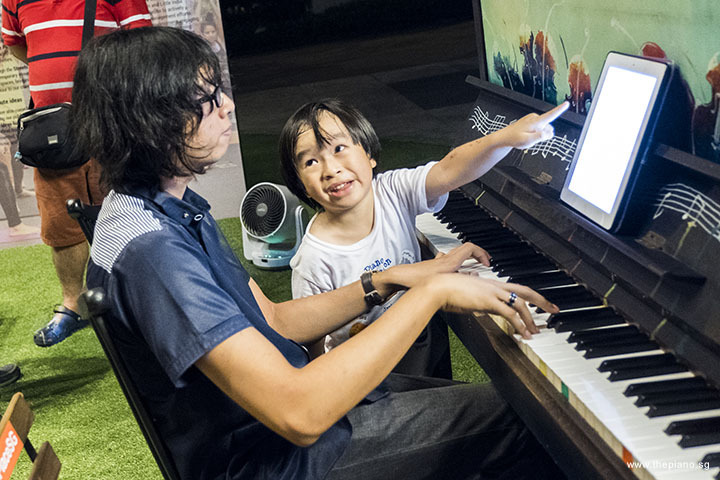 Pianovers Meetup is hosted by the Founder of ThePiano.SG, Sng Yong Meng. This evening, we were glad to welcome several regular Pianovers. 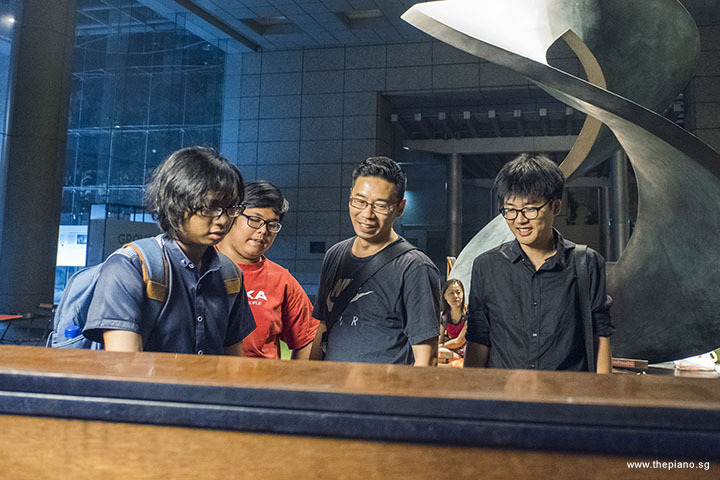 One of them was Brandon Yeo, who had attended the previous week with his father, William. This evening, he arrived with his mother and younger sister. Also present was Choon Qi, who had attended the first time the previous week. Special mention must be made of Chris Khoo. One of the most supportive members, Chris has been with us since Meetup #2, and performs very regularly. 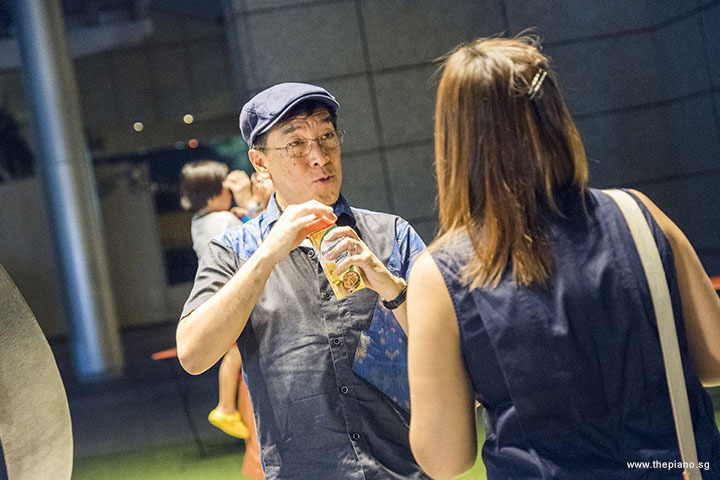 This evening, for the first time in Pianovers Meetup’s history, Chris appeared in a cap! This new addition to his attire certainly added flavour to our Meetup. At 7pm sharp, after the introduction by Yong Meng was over, the Mini-Recital started. Kicking off the session was Gwen, who played Fur Elise, by Beethoven. Yong Meng shared the interesting background about this composition. Beethoven probably never wanted the version popularly played today to exist. He would have preferred the 1822 version instead. Surprisingly, there was never a person by the name "Elise"! Next on stage was Russell Phun, who played Heart Asks Pleasure First by Michael Nyman. This piece was composed for the 1993 movie "The Piano". This movie was set on New Zealand’s West Coast in the 19th century and tells the story of a mute but passionate player who sold her piano but tried to have it back later. Wen came up to the stage next. She performed two pieces, "Good Morning Song" and "I Am A Shoemaker". All of us at Pianovers were happy to see I-Wen again. 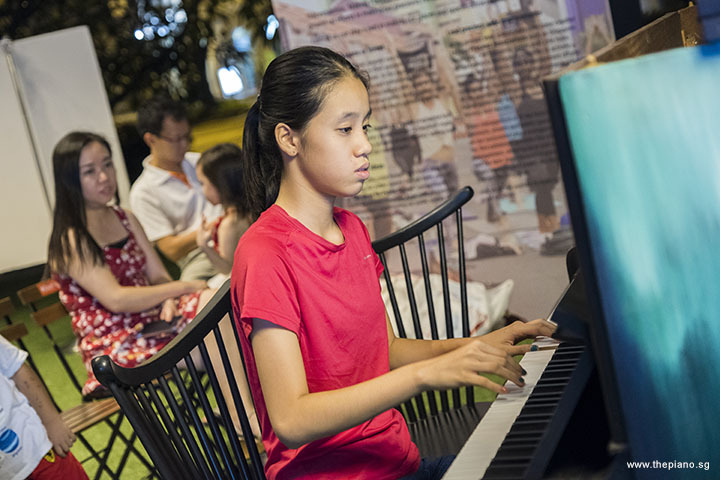 I-Wen, who performed at Pianovers Recital in August and came with her parents this evening, has been appearing regularly at our Meetups. Her mum, Jenny, is a piano teacher and had invited her students, Vicky and Russell today. Unfortunately, only Russell was able to make it. 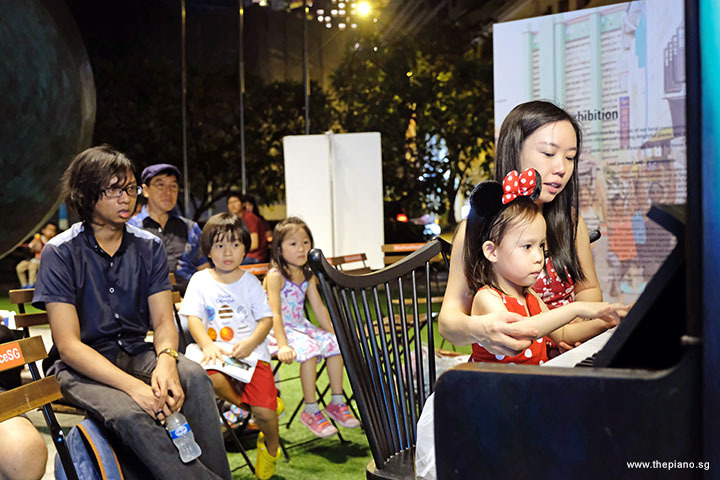 We at ThePiano.SG encourage passionate piano lovers to pursue their passion and to this end, we also encourage piano teachers to expose their students to piano playing away from the classroom. 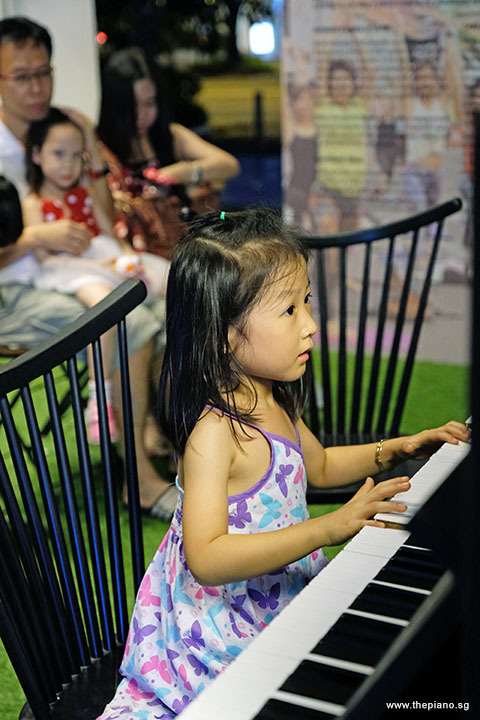 This does not only allow them to play in a real-world environment but also to connect with other piano enthusiasts and learn from others' experiences. Douglas played two pieces this evening, Black Eyes, a traditional Russian piece, as well as The Happy Farmer by Robert Schumann. The Happy Farmer is a piece included in the ABRSM 2017/2018 Grade 4 examination and is one of the compositions in "Album for the Young" (Album für die Jugend), Op. 68. This album was composed by Robert Schumann in 1848 for his three daughters and consists of 43 short works. "The Happy Farmer" is the 10th in the series and describes 'the merry peasant' who returns from work in the field. Jaeyong performed Fleurs Sauvage (Wild Flowers) by Paul de Senneville. 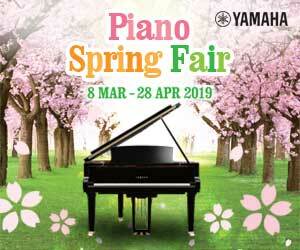 This piece was popularised by Richard Clayderman, arguably one the world’s most famous pianists. Most of Clayderman’s music was written by Paul de Senneville and Oliver Toussaint, including another famous piece, Mariage d’Amour. Jaeyong also played another piece, this time an original composition, Red Snow. Jaeyong is in Singapore for holidays until December. A true piano enthusiast, Jaeyong has been indulging himself in playing the piano. 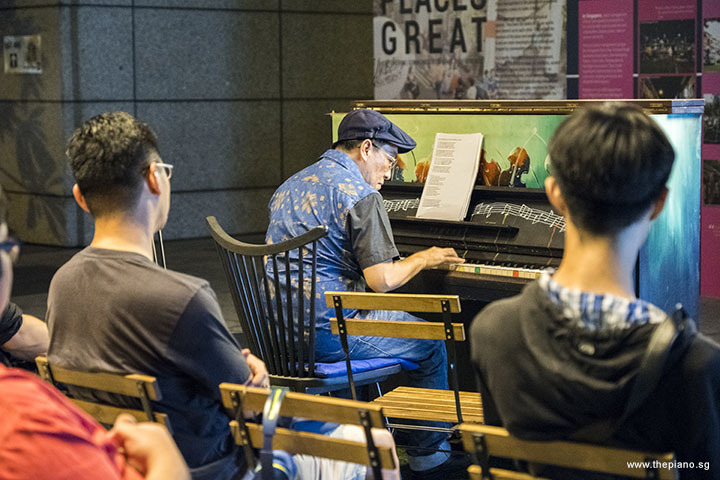 He can be found not just at the street pianos, but also at the Steinway Gallery Singapore in Orchard Road, where a Steinway SPIRIO, a high-resolution re-performance piano, is placed outside its shop. Jaeyong considers himself a new age music composer and has written many original compositions. 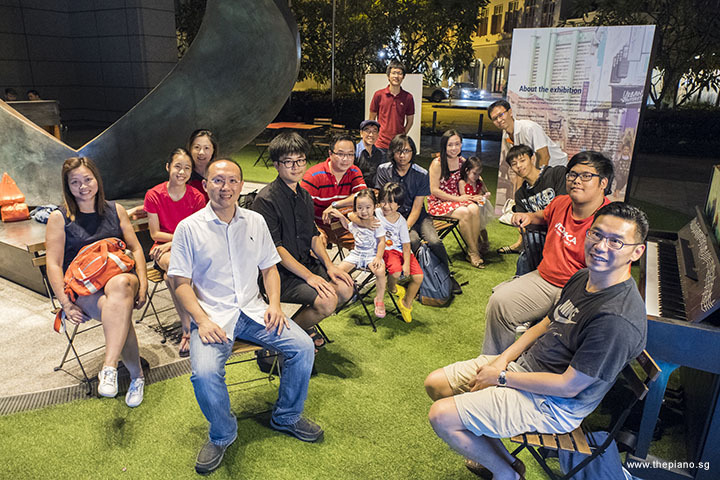 Although Jaeyong is in Singapore for a short period, he has formed a bond with Pianovers through Pianovers Meetup. We hope to know him better and that all of us are able to learn from one another and expand our knowledge. 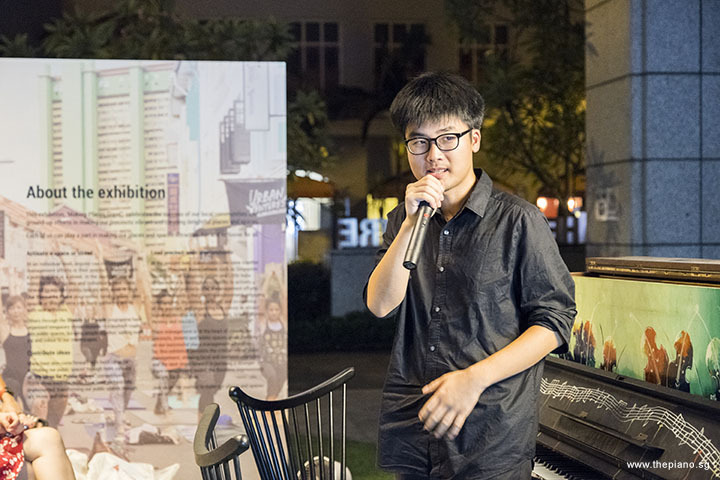 Yu Tong, one of the regular teenage performers, went up onto the piano next. We were glad to see her again with her mum, Cynthia. This evening, she played LYn - Love Story by Kim Ji-hyang, MELODESIGN. This piece was used in "The Legend of The Blue Sea OST Part 2”, a Korean television series. The drama is about a romantic story between a noble family’s son and a mermaid. Yu Tong is a Primary 6 student and has just completed her Primary School Leaving Examination (PSLE). We wish her all the best for her examinations! Brandon performed two pieces tonight, From A Wigwam and Home On The Range by Daniel E. Kelley. "Home On The Range" was written in 1872 and originated in a poem, “My Western Home". As it aptly describes the sights and sounds of the rural American West, this piece is sometimes known as the "unofficial anthem" of the region. In 1947, it became the state song of Kansas. Chris played a Medley of Autumn Leaves and Fly Me To The Moon. Composed by Joseph Kosma, "Autumn Leaves" is a jazz piece created by Hungarian-French composer Joseph Kosma. Incidentally, this was covered by Eric Clapton in his 2010 album, “Clapton”. The second piece, "Fly Me To The Moon", was by Bart Howard. This jazz piece had the original title "In Other Words". Due to its popularity, it found its place in the US-based Songwriters Hall of Fame in 1999 as a "Towering Song”. This award is given to composers of individual songs that have created impact and gone on to influence the culture in a unique way. Last but not least, Zafri played Reluctant Héros (from Attack on Titans) by Hiroyuki Sawano. "Attack on Titans" is a Japanese manga series that began in 2009. It is set in a fictitious world where humanity lives in fortitified cities. These cities are surrounded by giant walls as a deterrent against Titans that prey on humans for no reason. There is also a two-part live-action film adaptation. The first is known as "Attack on Titan" and the sequel is named "Attack on Titan: End of the World". These, together with a live-action web-series, were released in 2015. After the last performance in the Mini-Recital, we moved into the Open Segment. During this time of the evening, Pianovers jam on the piano, network and bond over discussions and talking. Jenny and Russell posed for a photograph, while Chris and Elyn had a good chat. 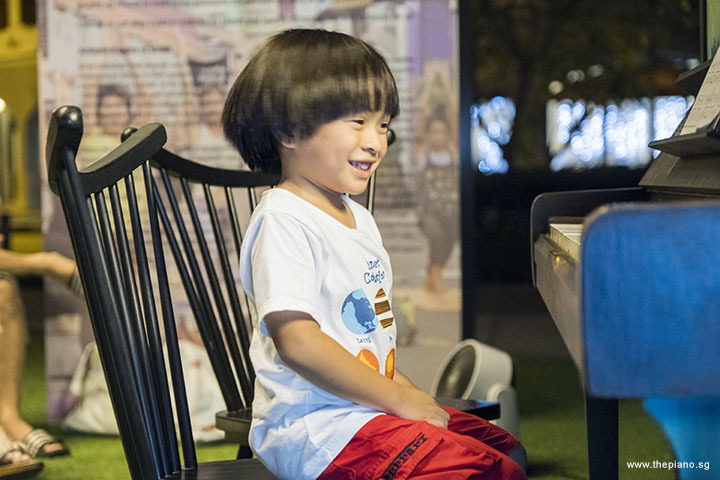 In a heartwarming moment of interaction between people of different age groups, Harith played on the piano while Brandon excitedly pointed the scores on his iPad. A group photograph is always good to have and this evening, it was taken in a different way. 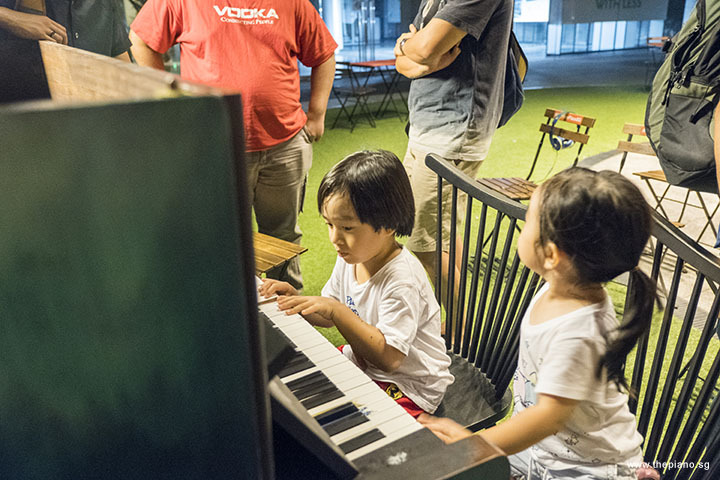 At 9pm, the lights at The URA Centre were turned off, however, Douglas, Jaeyong, Zafri, and Choon Qi stayed back till late to play and chat. Meetup #53 officially came to an end but we look forward to seeing all of you again next Sunday!